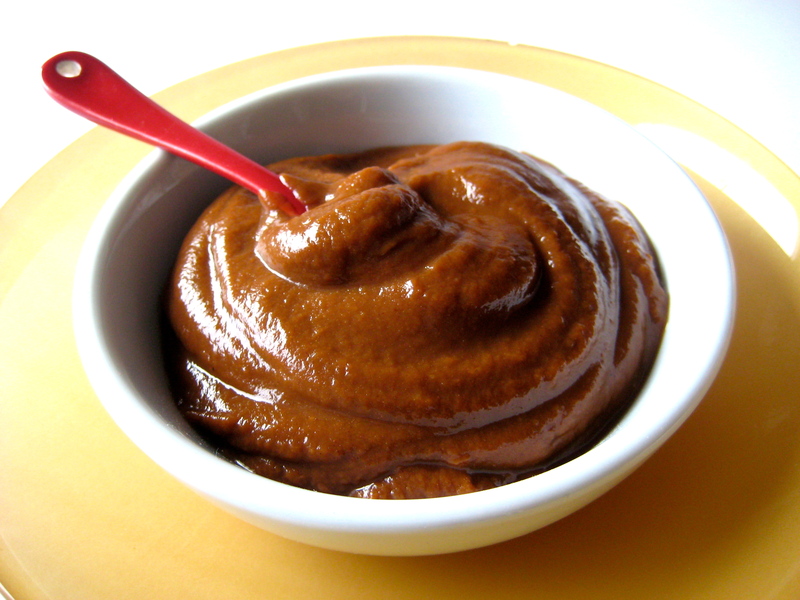 A super easy snack idea that can use up leftover sweet potatoes, this pudding is creamy, chocolaty, and good for you, too. Even better, it comes together in about 30 seconds, for instant snack satisfaction. Put the mashed sweet potatoes, cocoa powder, maple syrup, vanilla extract, cinnamon, and salt in a food processor. Process until smooth, adding the nondairy milk until a desired consistency is achieved. Though it can be served right away, it tastes even better refrigerated overnight. Note: Baking the sweet potatoes in the oven rather than cooking them in the microwave adds extra sweetness and flavor. To bake, scrub the potatoes then wrap in aluminum foil. Poke with a sharp knife about 5 times. Bake at 425F for about 45 minutes, until tender. Refrigerate until cold, then remove the skin. I make a similar chocolate pudding recipe using an avocado & banana & maple syrup too so this recipe must be equally tasty too. Yummmm. It should be similar! I have another on this site using avocado, and I’ve done them with that combo, too. I don’t love it with banana, though, compared to the other versions).